How Can I Help AONP? We have had many people ask us lately, “How can I help advance AONP?” The number one way you can help Nurse Practitioners across Oklahoma is simply to tell your story of how NPs help improve health care in Oklahoma. A first-person story is always the best way to connect with someone on an issue. If you’d like to share the advantages of NP care to your state, reaching out to your local community is relatively easy to do. Perhaps you could invite a local or state government official to tour your practice. Reach out to existing civic groups in your community to add the topic of NP care to discussions at chambers of commerce, business groups, schools, PTAs and other community forums. You could organize a health fair with your local NP group, and reach out to local public venues that might be interested in hosting such an event. With your practice or your local NP group, support a local non-profit organization. Encourage healthy physical activity by sponsoring a fun-run, where proceeds benefit a local non-profit organization. Build positive ties in your community, and your voice and message will be respected. If you have a knack for writing, you might want to think about writing a letter to the editor of your local newspaper. Letters provide a public forum to open up a discussion with the public. Remember to include all pertinent contact information, as the newspaper will want to contact you to verify the article. Be timely in your response to news events. Be clear in your language, and focus on one main point. Get your readers’ attention at the beginning of the article with an interesting fact, and then keep their attention through about three paragraphs. Show respect to your readers and avoid personal attacks or rudeness. A letter to the editor is meant to be of an opinionated nature, but should be strongly backed up with facts. Check and recheck for grammar and spelling mistakes. Hand it off to a friend or family member for additional proofreading. Read several letters to the editor before you begin writing yours to assess the publication and their editors’ tastes. If your letter is not published, don’t worry or be discouraged. Visit AANP on YouTube, Instagram and Pinterest. No matter the venue you choose to share the impact of NP health care, speaking up is the important part. Join us as we aim to show the entire state of Oklahoma the importance of NP health care. With about 175 doctors for every 100,000 residents in Oklahoma, the second lowest ratio in the country, Oklahoma is in the midst of a health care turning point. Why is there a medical shortage in rural Oklahoma communities? A combination of factors form the barrier to providing care to those citizens away from city centers. “Training location makes a big difference in medicine,” points out Rick Ernest of the Physician Manpower Training Commission. “If you want a rural doctor, you have to train them in a rural area,” he says, citing research showing most doctors end up practicing within 50 miles of where they were trained. “The course of most young doctors has been established by the time their residency ends,” says Robert Valentine, a medical resident at the University of Oklahoma College of Medicine in Oklahoma City. “If they aren’t committed to rural care by then, it’s too late,” he says. More rural residency programs would also help train doctors who are already committed to the idea of working in a small town setting. Oklahoma only has a handful of residency programs, the majority of which are in metro areas. Perhaps the biggest factor is the power of cash. Medical students graduate with an average of $140,000 in debt, and instead of setting up a family practice in rural Oklahoma, most physicians are tempted to become a specialist, which can be a more lucrative position. How can nurse practitioners reach these communities? 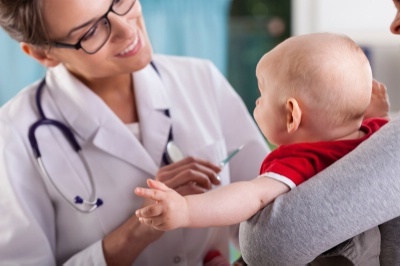 Nurse practitioners (NPs) can help meet the primary health care needs of these rural consumers, but outdated state scope of practice laws are keeping NPs from practicing to the full extent of their education and training, making it harder for patients to get the care they need. Oklahoma law requires a supervising or collaborative agreement between each NP and a physician for prescription coverage. This law does not require a physician to sign off on any of their prescriptions. Physicians must make themselves available for collaboration, according to the Oklahoma Nursing Practice Act. NPs independently order lab work, x-rays and other diagnostic tests without any additional requirement of a physician input and may refer patients to specialists as needed. In many instances a physician may never participate in the practice of an NP. The requirement to practice is hindered by the need to find a physician who is willing to serve as a supervising physician. The supervision is a signed form that satisfies the requirement of the Oklahoma Board of Nursing for prescriptive authority but does not alter the practice of the NP. Often times these supervisors practice several counties away from the NP office and are limited to supervising only two full time NPs. The cost to obtain a supervising physician to complete the required documents and be available for collaboration may run annually $20,000 to $50,000 of un-reimbursable costs to the NP. “These laws and regulations restrict the care NPs can provide, particularly in underserved rural areas where no physicians may practice.” –Campaign For Action. In summary, allowing NPs to practice at the full extent of their education and eliminating collaborative agreements would save each practice thousands of dollars, decreased red tape for certain orders and improve overall access to healthcare. Many states have already taken action. North Dakota faced experiences very similar to our situation in Oklahoma due to the influx of energy workers in the oil and gas business in North Dakota’s rural areas. Those new consumers combined with the existing rural population caused expanded demand for health care that went unanswered because of limited access. The main barrier to providing care to these North Dakota citizens was the requirement that NPs had to form a collaborative agreement with a physician to prescribe medications similar to the current situation in Oklahoma. Even when North Dakota NPs desired to practice in these underserved rural areas, many areas simply had no physicians in the area available. In 2011, the governor of North Dakota enacted a law that allowed NPs to prescribe medications without restrictive physician oversight. The strategy seems to be working. The number of NPs in North Dakota has increased from 650 in 2011 to more than 1,000 today. To date, only 21 states and the District of Columbia allow NPs to practice to the full extent of their education and training. What does Oklahoma’s future hold? So where does this leave the state of Oklahoma? This November, Rep. Jon Echols initiated an interim study on “Expanding Access to Primary Care for Oklahomans and the Role of the Nurse Practitioner” to the House Public Health Committee. Over 60 NPs were present to give testimony and support on the issue. The public is passionate about this issue, and lawmakers have been taking notice. Join the AONP as we will be putting up a fierce fight in 2016 for the #RightToPractice. We look forward to becoming the next state to give full practice authority to NPs. This year marks the 50thanniversary of the profession of nurse practitioner!The first NP program was founded in 1965 by Loretta Ford, EdD, PNP, FAAN, and Henry Silver, MD, at the University of Colorado. In the 1970s, the program became a master’s degree program and had diversified into many different specialty NP programs. Today there are hundreds of thousands of nurse practitioners practicing in scores of specialty areas. Oklahoma nurse practitioners have had an exciting 2015! We just wrapped up our 2015 Fall Conference, and we are thrilled to continue building awareness about our profession in the community this National Nurse Practitioner Week Nov. 8-15, 2015. Why is NP Week important? Over the last fifty years, the health care need has grown. With the Affordable Care Act and more people are seeking medical care, states are seeing the need to allow full practice authority to nurse practitioners. To date 21 states have allowed NPs the full scope of practice. The AONP, AANP and friends are working hard toward full practice authority for Oklahoma, as the need for access to affordable healthcare is becoming more apparent. Currently, there are more than 205,000 practicing NPs with over 244,000 expected to be practicing by 2025. How can I spread awareness? Share your personal story with your friends. Why is it important to you that nurse practitioners have full practice authority? A first-person story is always the best way to connect with someone on an issue. Follow us on FacebookandTwitterand our#RightToPractice hashtagto keep up with news and information related to nurse practitioners in Oklahoma. Watch and share this video. 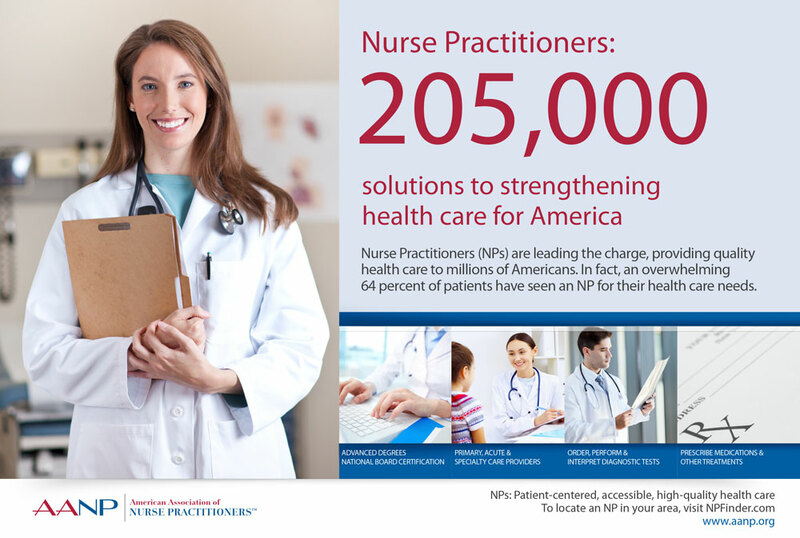 Remind people that it’s NP Week!As the video states, nurse practitioners are at the forefront of our healthcare future, and millions of people choose a nurse practitioner as their primary health provider. The confidence patients have in NPs is demonstrated by the more than 916 million visits made to NPs each year. You can find more talking points, facts and resources in theNP Week Resource Guidemade by the AANP.